We offer free Wi-Fi on all premises. Please enquire at the time of booking for any needed settings or passwords. Self catering accommodation is offered in various establishments located in the popular beachfront suburbs of Bluewater Beach and Bluewater Bay in the City of Port Elizabeth. Accommodation is offered in a number of units all of which are fully equipped for those who prefer to go the self catering route. 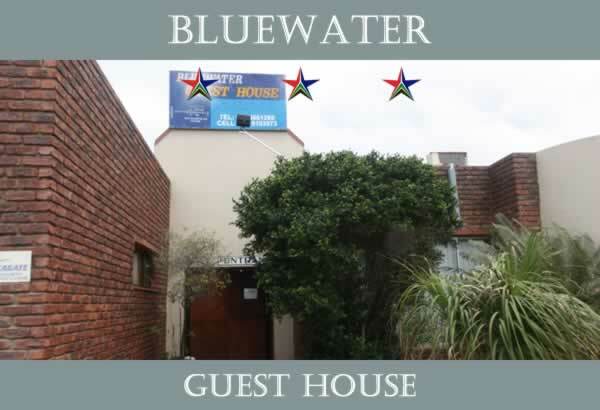 B&B is an option for guests staying at some of the self catering units with breakfast served at either the nearby Bluewater Guest House or Blue Water Beach Front Guest House. At 80 De Mist there is accommodation for larger groups in a 3 - 5 bedroomed house. On site there is also a fully self contained flat ideal for Couples. Secure parking is available. At 23 De Mist accommodation is offered in 3 self catering units as well as a large 5 bedroom unit that is located approx. 100 meters from the beach. 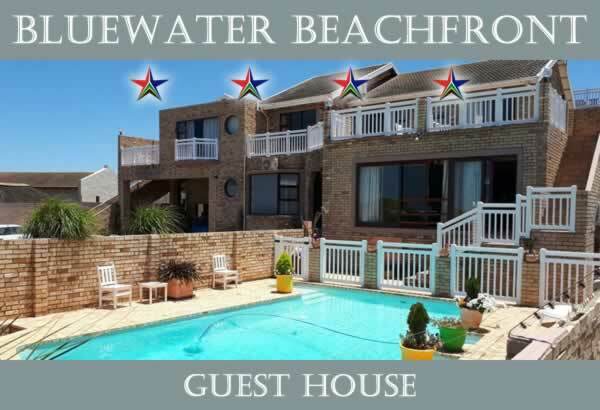 At the 4 star Bluewater Beachfront Guest House and the 3 star Blue Water Guest House there are also a number of Family and Batchelor Self Catering Units. Our Accommodation is therefore not only suitable for the tourist and holidaymaker but also for the business person who sometimes needs time in the privacy of his own accommodation. Every unit has its own private entrance.